Q. How do I format cells in Excel? 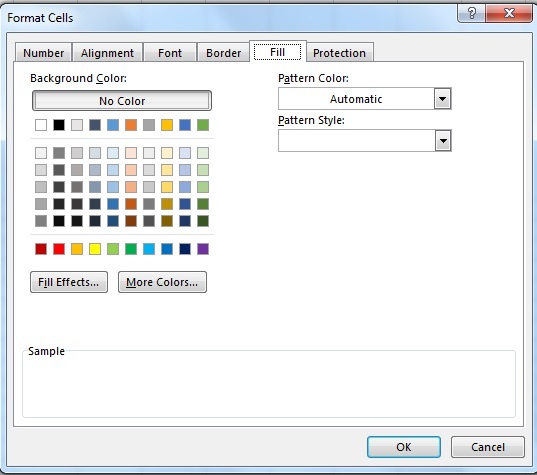 In Excel you can format a cell's content category, alignment, width and height, and change colors and borders. All of this can be done within the Home ribbon. In the Cells grouping within the Home ribbon, click the drop-down arrow under Format. At the bottom of the list is an option for Format Cells. 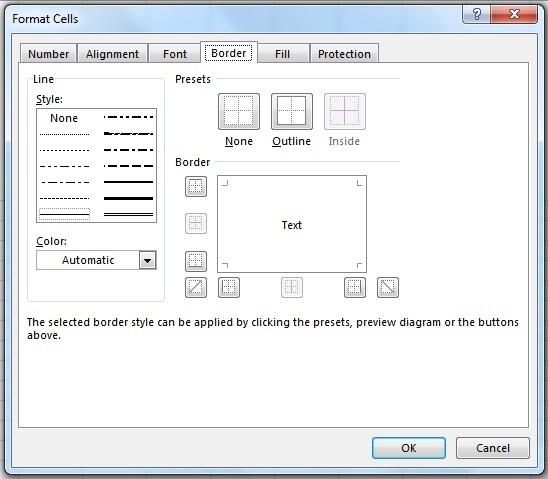 This option will open a dialog box which will allow you to change cells' category, text alignment, font, border, and color fill. In the Home ribbon, you can also edit a cell within the Font, Alignment, and Number groupings. 1. Click on the Home ribbon, go to the Cells grouping, and click on the drop-down arrow under Format. A menu will appear. At bottom of the menu, click on Format Cells. 2. A dialog box will come up. Under the Number tab, you can choose the category for a cell. 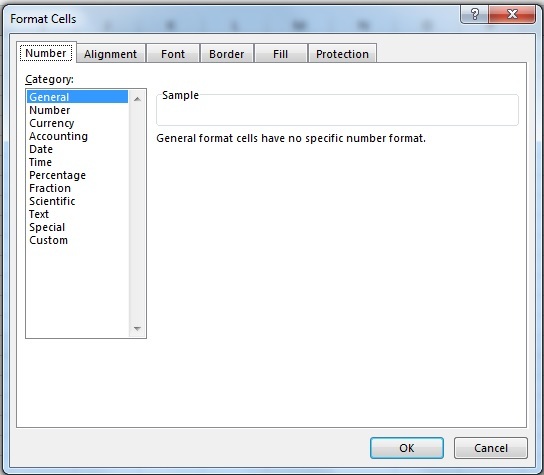 Applying different number formats will change the appearance of the number entered in a cell. You can review the categories and how they are used. Microsoft also provides a more detailed explanation of how to format numbers as currency. 1. Follow step 1 above. 2. 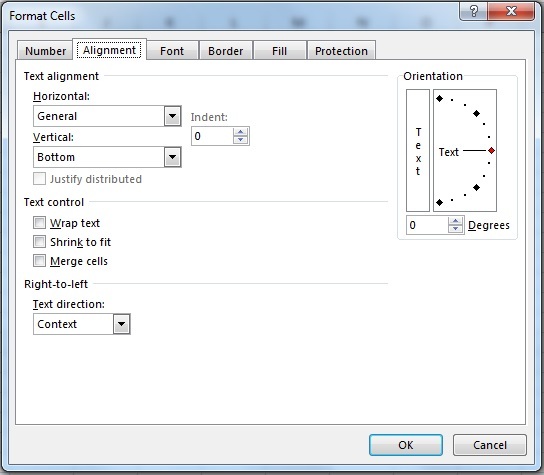 In dialog box, go to the Alignment tab. You can edit your cell's horizontal text alignment (left indented, right indented, justified, etc. ), vertical text alignment (top, center, bottom, etc. ), and text direction. You can also choose to wrap text, shrink long text to fit within a cell, or merge multiple cells together to create one large cell. 2. In dialog box, edit font, border, and fill using corresponding tabs. 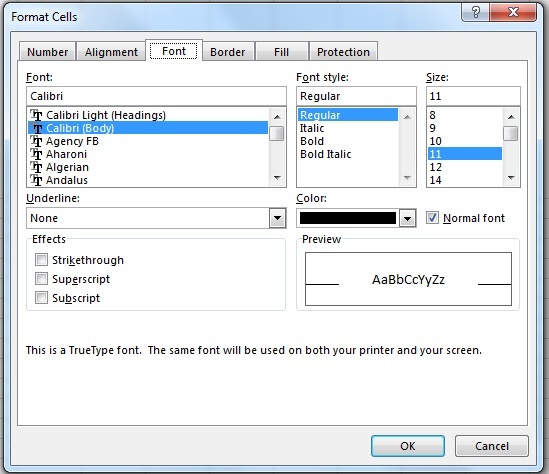 You can also edit all of these aspects of a cell using the Font, Alignment, and Number groupings within the Home ribbon. Excel can take time getting used to. Review some of Excel's basic tasks, changing column width and height, and other Excel help topics.